With extremely cold and snowy weather hitting the UK this week, we’re sparing a thought for those who aren’t lucky enough to have a warm house to go home to. 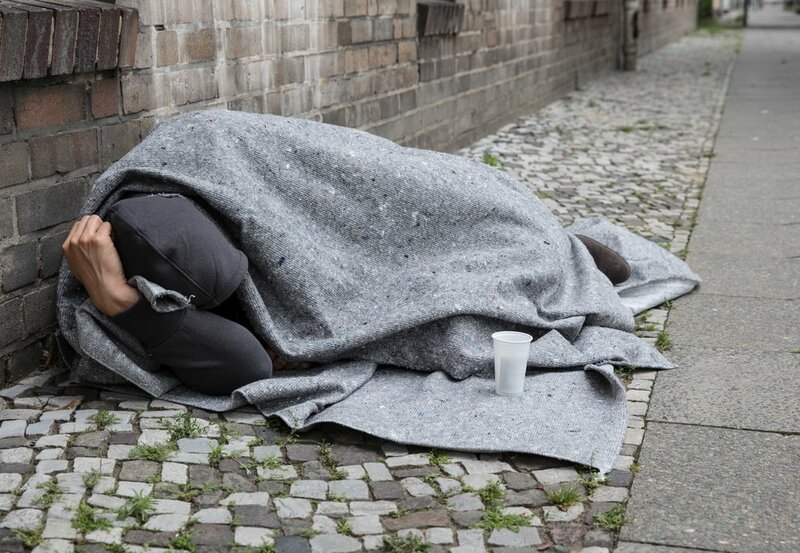 According to recent figures from homeless charity Shelter, one in 200 people in the UK are homeless and sadly, these people are having to sleep on the streets this week, relying on soup kitchens and the generosity of the public for food and drink. We know it can be quite daunting to approach a homeless person on the streets and offer them money or food, however much you feel for them. That is why homeless charity StreetLink are asking you to contact them if you see a person on the street who looks like they could do with a warm bed and a hot drink. Letting StreetLink know details of a homeless person’s location will allow one of their volunteers to make contact with them. They will then offer the homeless a warm bed for the night. This week especially, looking out for the homeless is more important than ever, as arctic conditions are tragically taking the lives of people sleeping on the streets. If you see a homeless person you think should have somewhere warm to sleep in this freezing cold weather then call StreetLink on 0300 500 0914 to give details of their location.